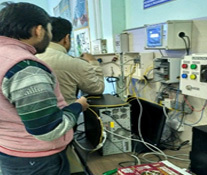 Department of Electrical and Electronics Engineering, GL Bajaj Institute of Technology and Management Greater Noida has organized two days Faculty Development Program (FDP) on Industrial Automation dated 15-16 Jan, 2019. 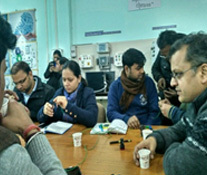 Faculty members and Head of EEE department were participated the program. 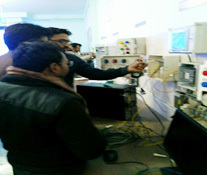 The FDP program was conducted under the banner of ISTE and IEEE in technical association with Vision Automation Pvt. Ltd. 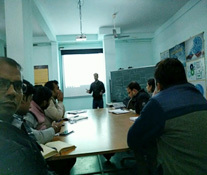 The technical session were taken by the expert Mr. Bhawani Singh and Mrs. Dolly Sharma from Vision Automation Pvt. Ltd.